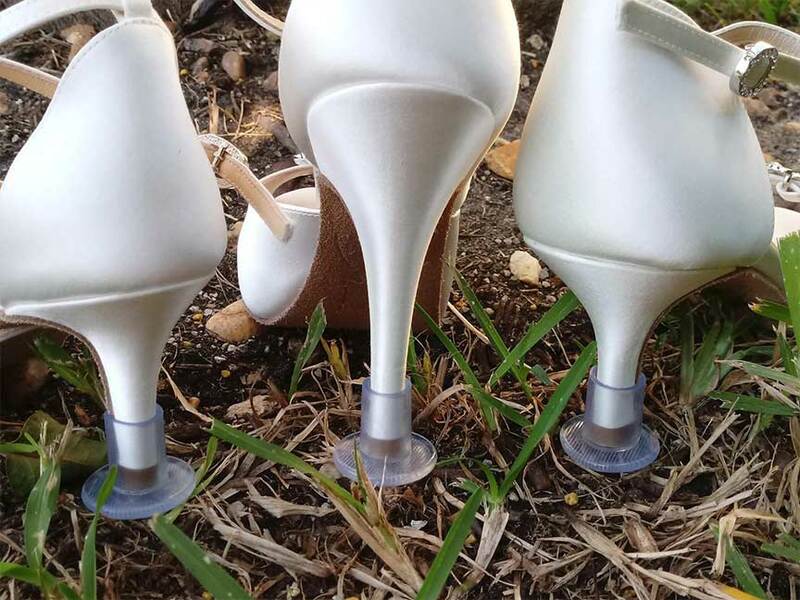 Heel Savers | Don't let you dig into dirt, gras or slats! Stilettos are tough to wear in grass, dirt, sand, stones, or any dicey surface. Heel savers can prevent sinking into the ground or getting caught between slats. They’re reusable. Be sure to get the appropriate size. Please note we don’t manufacture these gizmos. Based on reviews, they’re worth recommending since they can save your expensive shoes from damage.